View of Mt. Rainier from Kendall Katwalk trail. Nice to have a view from up above, looking down on the clouds and fog. Superb image -- very well done. 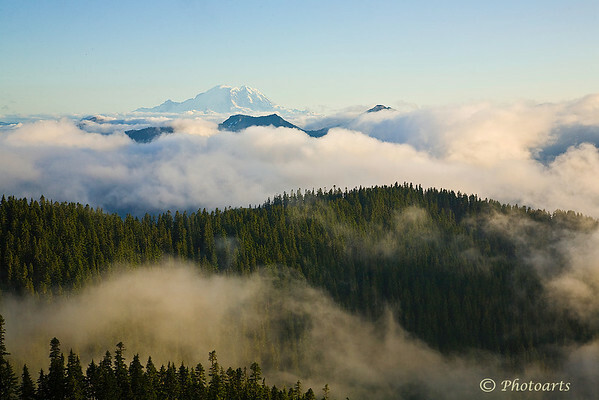 Great to have this photograph chosen for Smugmug "Cloud Storage" marketing!